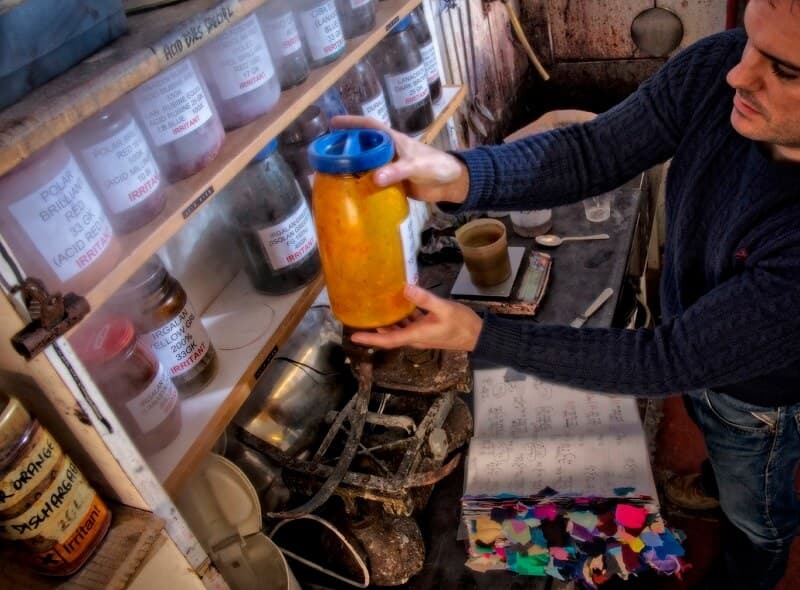 Before a textile printer can start in business he must make his own colour library. This is his “Recipe Book” and may run to several thousand different colours and shades. When we are working with an outside designer he or she may help us by choosing the colours to be printed from our own colour library. However, we often have to match colours supplied and this usually entails making new recipes. Each new recipe must be mixed, recorded, printed on silk, steamed, washed and dried before the colourist knows whether he has mixed the right colour. Since the human eye is said to be able to differentiate between some three million colours and shades, you can appreciated the skill required to achieve a perfect match. When we first started dyeing cloth we were told by a dyer from the north of England that “Dyeing is not so much a science but more a black art”. 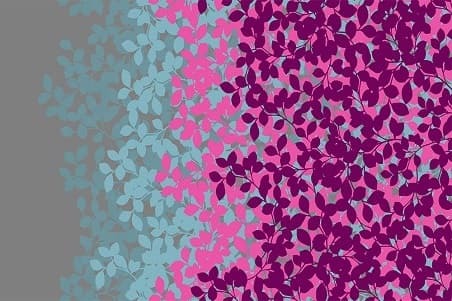 If colour matching for print is difficult, then for dyeing it is doubly difficult. 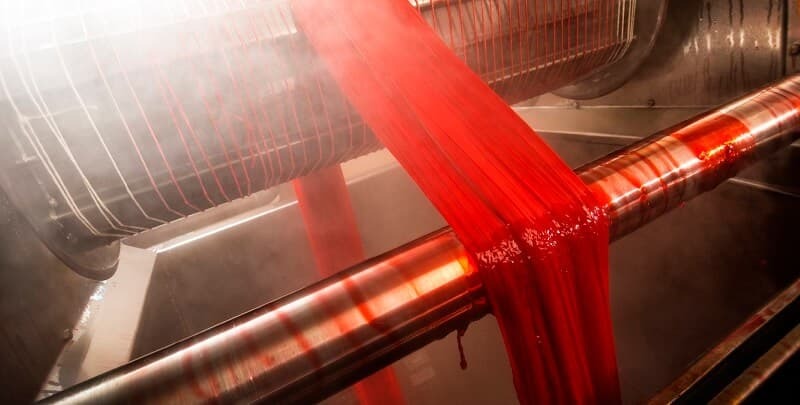 At Beckford we dye on winch dye machines. The cloth is sewn end to end, into the batch and over the paddle, in lengths of about 20 meters. When the paddle turns, the cloth continually moves in the water, assuring even colour distribution. The water, with the dye, is raised slowly in temperature by injecting steam. To reach 90c it may take nearly an hour. This temperature is held for another hour and then reduced, before draining and rinsing. Throughout the process the dyer will cut small swatches off the end or edge of the fabric, to check the colour take-up. Going back to the Devoré technique previously described. 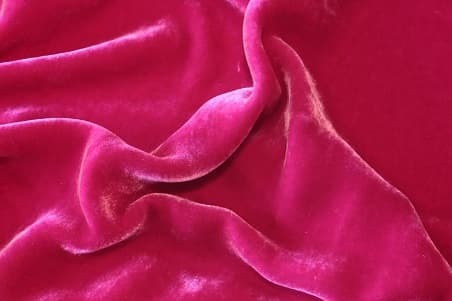 Because the fabric is made up of two different fibres, it is dyed using different dye groups. A liquor is made up containing two separate colours. 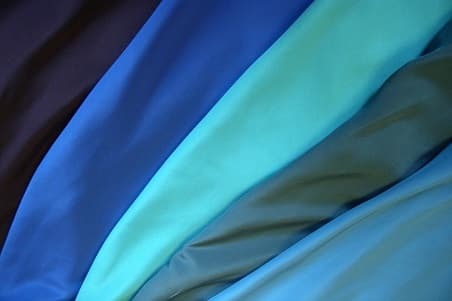 When the devoré fabric passes through, the viscose is attracted to one colour recipe and the silk to the other. This is called cross-dyeing and can result in some stunning colour combinations.